The Preferred Payment method normally only has main 3 options: PayPal Balance, Credit Card and Bank Account. We ask PayPal: Is this setting very hard to save and keep when you upgrade your website? Don’t you know your stupid action have caused existing customers or users losing money? In around 2013 (or 2012, we can not remember exact year but we know it happened) we had an issue when we used PayPal to pay an online purchase. We had set our Preferred Payment Method which was use PayPal balance first and then Credit Card. But looks like PayPal upgraded their website after we set the first time. Our previous setting was then wiped out. Unfortunately our PayPal balance was NOT enough for the online purchase, PayPal then used our Bank Account by default, but our Bank Account balance was NOT enough either, due to the local bank policy, the failed bank payment generated $200 bill right away for the fine money (punishment) to us, and PayPal did NOT continue to use our credit card to pay the online purchase, so finally our payment was failed, and we got $200 bank account bill. Then we wrote a blog to tell people to set using Credit Card method in PayPal. Note: If you do NOT want to lost money, you’d better to set using your credit card unless you really have enough PayPal balance, and please Remember! 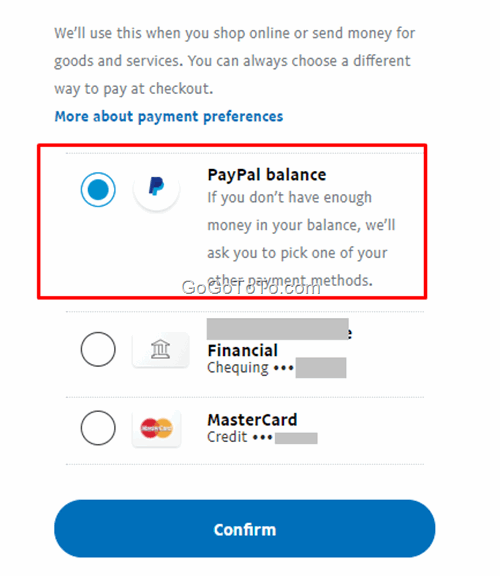 Check PayPal website constantly, please do NOT believe their designers, they might wipe out your settings again if they have newer version of website. We hope PayPal’s development team and management know the Preferred payment setting problem. Please KEEP user’s previous settings for this.